Search engines always value backlink quality over quantity. 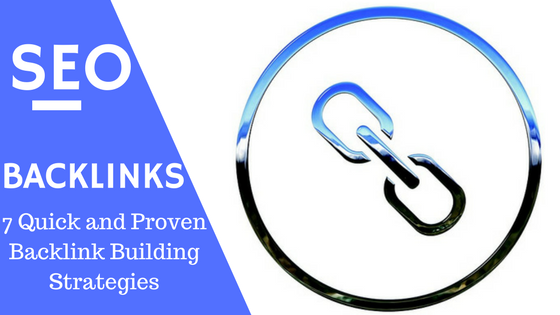 Acquiring backlinks from 20 trustworthy sites is better than having 500 links from irrelevant and dubious websites. 1. Craft Quality Content- Create content which is aimed at providing solution to visitor’s pain points. Though it might take some effort, but at the end if your content is useful it will generate an enviable backlink profile for your website over time. 2. Launch Giveaways- Include sweepstakes or giveaways in your backlink building strategy to build brand awareness, engage users, gain social mentions and solidify your backlink profile. If your end goal is to acquire backlinks, your giveaway must attract bloggers/influencers from your niche. It can be a free subscription, eBook, premium tool or cool merchandise. To qualify for giveaway you can ask them to write about your website/giveaway on their blog and link back to your site (must be do-follow link). To gain quality backlinks you can also include rules such as, the site must be atleast one year old and related to your niche. Wishpond is the easiest platform to launch your sweepstakes/contest campaign. 3. Scholarships- Offering scholarship to students enrolled in undergraduate and graduate schools can get you the most coveted .edu and .org backlinks. If you acquire 50 backlinks from universities, NGOs and scholarship info websites through your $500 scholarship program, it is worth it. Though it might not be feasible for small part time bloggers, but if you are an established company or organization, you must actively consider launching a scholarship program. 4. Leverage Social Media- Use social media to reach out to influencers and foster relationships. Publish your latest content on social media and actively monitor the engagements. You can take additional help from social listening tools like Sendible and BuzzSumo to find out the bloggers/websites that mentioned about you. Later you can simply email them and ask for a link or guest blog opportunity. You can also research Google+ and Twitter for people and websites in your niche. If your content can add value to any of their article and is a good fit, ask for a backlink. 5. Content Submission- Create content in variety of formats like infographics, videos, podcast and slideshows. Marking your presence and publishing content on popular channels such as Youtube, Vimeo, Slideshare, Quora, Medium, Stumbleupon and Pinterest is crucial for generating backlinks. It helps you capture attention of a wide group of audience and get your links on high-quality domains. You can also submit your content via guest blogging on popular blogs. 6. Wikipedia Links- Simply paste site:wikipedia.org “Keyword” “dead link”, in your Google search bar. 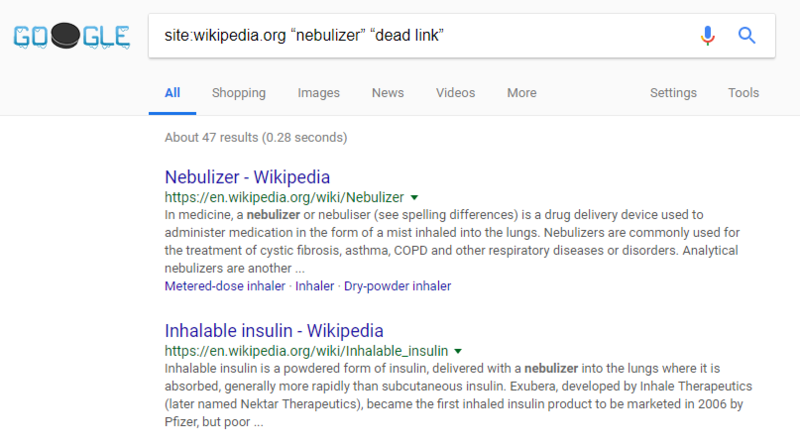 For example if you want to find dead links on articles related to “nebulizers”, use the query site:wikipedia.org “nebulizer” “dead link”. Then using ctrl+f, find all the dead links on the Wikipedia article. You can also use WikiGrabber to find dead links on Wikipedia. Next you can create a Wikipedia account to edit the article and replace the dead or broken links with your own link. You can also include your own unique links in Wikipedia pages. Your edits will only be approved if the link to your website has quality content which is relevant to required citation or dead link. 7. Directory Listings- It is one of the oldest techniques to build backlinks but is least popular now a days. It still helps boost local SEO if done correctly. Having hundreds of links from directories will infact have a negative effect on your website’s ranking. Instead focus on listing your website in few selected high authority and popular directories. The best directories are the ones that are relevant to your niche and provide useful information to visitors. You must submit your website on Google My Business and Yahoo Directory (now Bing Places for Business). Few other listings to consider are bbb.org, botw.org, inc.com, Citysearch and Yellowpages. It is best to limit your directory submissions to high authority and relevant directories that are focused on providing useful information to users.